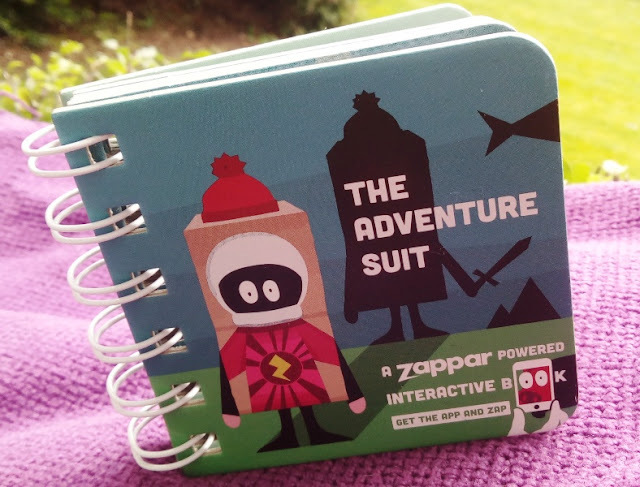 The Adventure Suit Augmented Reality Book Smartphone App! 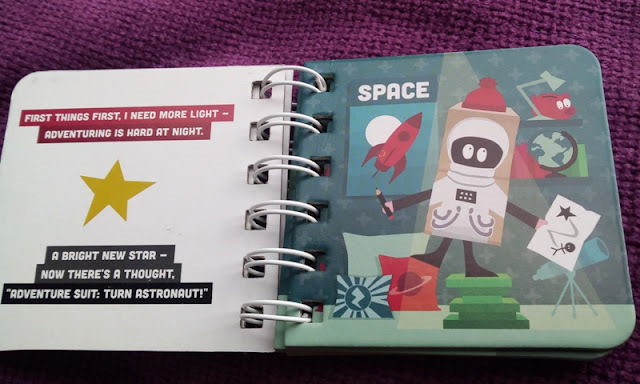 A book that you can interact with on your smartphone? What a great idea! I wish I had this growing up as a child! The ever so popular digital world of social media means more and more people are spending more and more time on their smartphones and tablets. It's a fascinating concept bringing a story book to life via a smartphone or augmented reality headset and having characters quite literary jump out of the book! 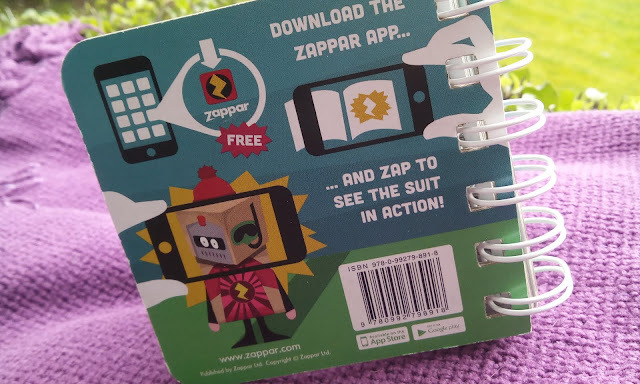 With that being said, I am toying today with The Adventure Suit augmented reality book, which is powered by Zappar and its free to download Zappar App. 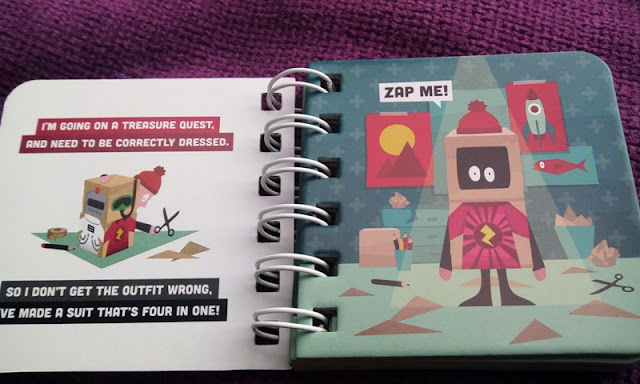 The Adventure Suit book is a mini stories of a young explorer on a quest to far away places dressed up in different suits for the occasion fighting and rescuing strange creatures. Every adventure is brought to life via cool animations you interact with by tapping and swapping your phone. 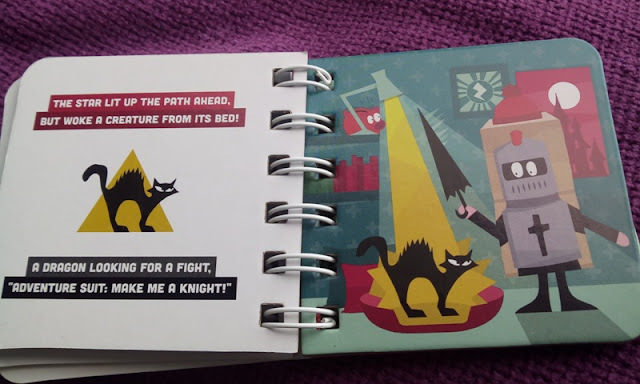 As you progress through the book, the animations change and become more interactive. 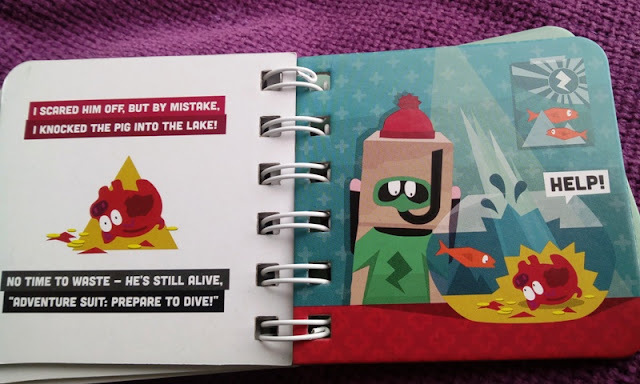 At the end of the book, you even have the option of becoming the adventure explorer with a selfie picture of yourself! I've Made A Suit That's Four In One! 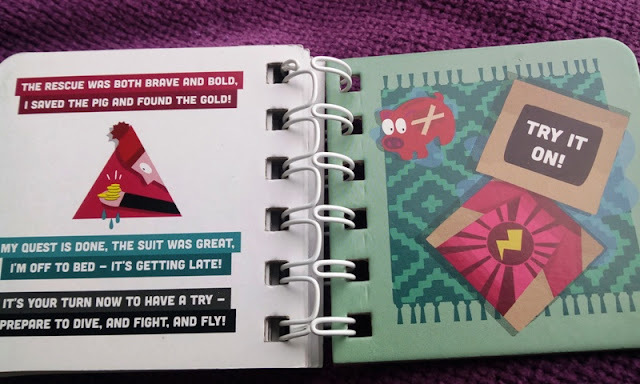 Adventure Suit: Prepare to Dive! It's Your Turn: Prepare to Dive, And Fight, And Fly!